In the mid-1970s, robotics began to gather steam at NSF. 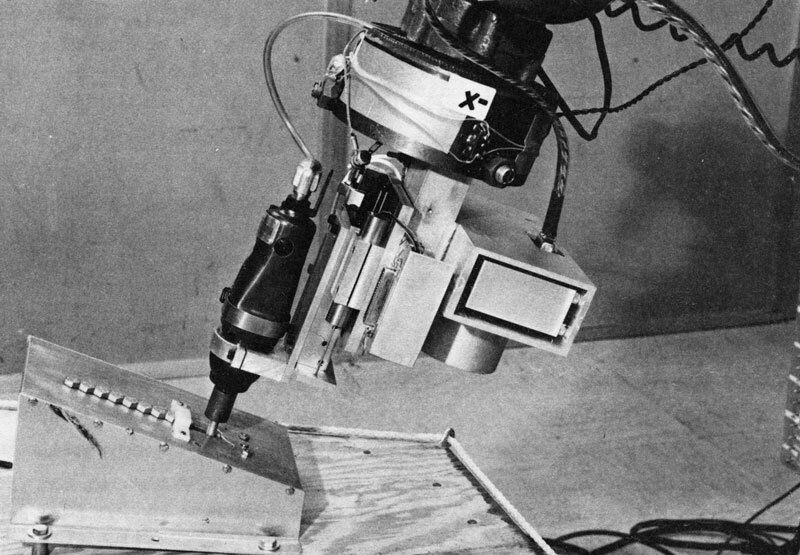 Among the first research projects classified as robotics were mechanical arms (seen above, right) that could pick a part out of a box and visually identify it and orient it properly for the next step on an assembly line, as well as computer-controlled welding robots. These and other NSF-funded projects were aimed at improving the productivity of American manufacturing processes — a goal for roboticists that continues to this day. The 1980s brought an increased diversification in the types of robots being explored and the ways they could be used. At Ohio State, electrical engineer Robert McGhee and mechanical engineer Kenneth Waldron, along with a 60-member team of students and technical assistants, developed the Adaptive Suspension Vehicle (ASV), nicknamed the “Walker,” with support from NSF and the Defense Advanced Projects Research Agency (DARPA). The ASV was 17 feet long, 8 feet wide, and 10.5 feet high, and had six legs to support its three-ton aluminum body. It was designed to carry cargo for industrial and military applications over rough, mountainous, icy or muddy terrain, and was capable of crossing 9-foot-wide ditches or 7-foot-high walls. The walker used a forward mounted radar system to scan the terrain ahead and feed that data, along with instructions from the operator’s joystick, into the 16 onboard computers that coordinated and controlled the ASV’s legs. 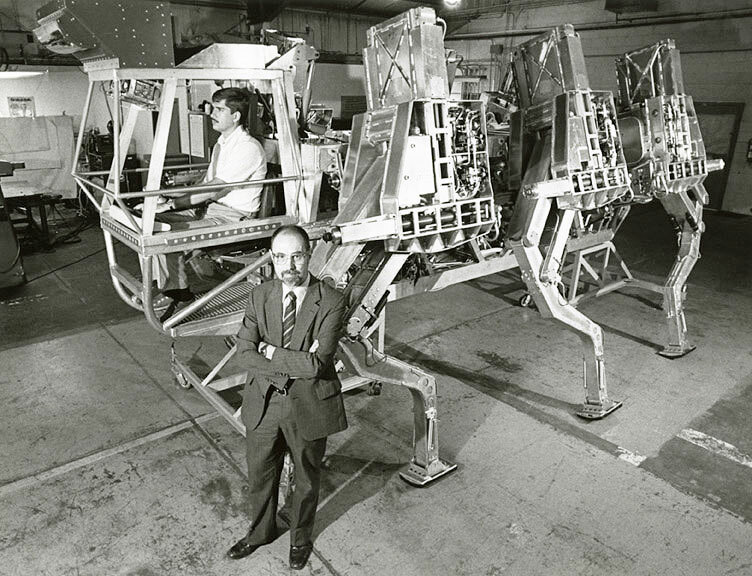 Computers moved each leg individually, up and down, forward and back, and closer or farther from the ASV’s body, for a clunky but serviceable ride. Not long afterward, researchers supported by NSF were developing robots for a very different environment: underwater. 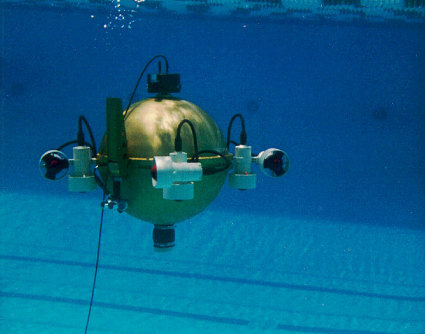 First built in 1991, the Omni-Directional Intelligent Navigator (ODIN) was a sphere-shaped, autonomous underwater robot capable of instantaneous movement in all six directions. First built as a remotely operated robot, in 1995 it was upgraded to ODIN II, an autonomous underwater robot. Sentry, a successor robot developed through a grant from NSF, plies the deep waters today locating and quantifying hydrothermal fluxes. 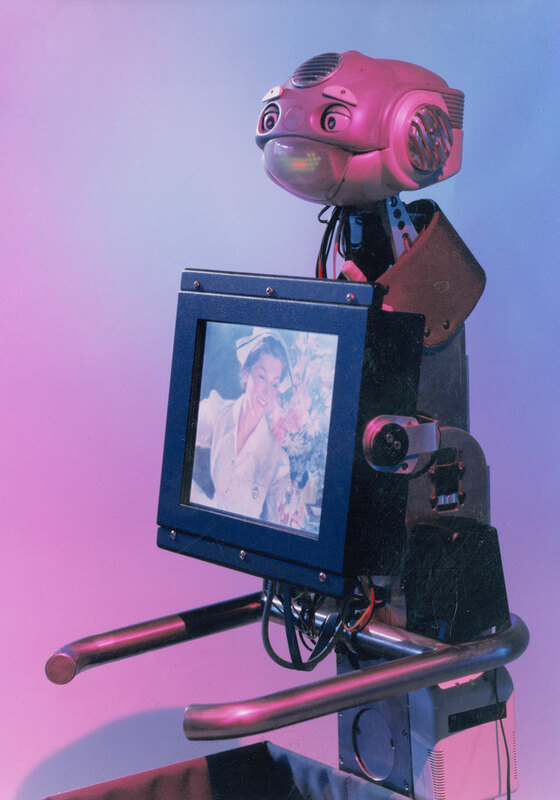 In the 1990s, roboticists began turning their attention to day-to-day tasks with which a robot could assist. For instance, researchers from the University of Pittsburgh, University of Michigan and Carnegie Mellon University developed a series of mobile, personal service robots, such as Nursebot, that were designed to assist elderly people in their everyday life. Nursebot was designed by researchers at the University of Pittsburg, the University of Michigan, and Carnegie Mellon University to assist elderly people in their everyday life. Credit: Carnegie Mellon University. Researchers have always envisioned a future where robots could serve the general good in disaster recovery and search-and-rescue operations, but it wasn’t until 9/11 that robots were broadly put to that use. 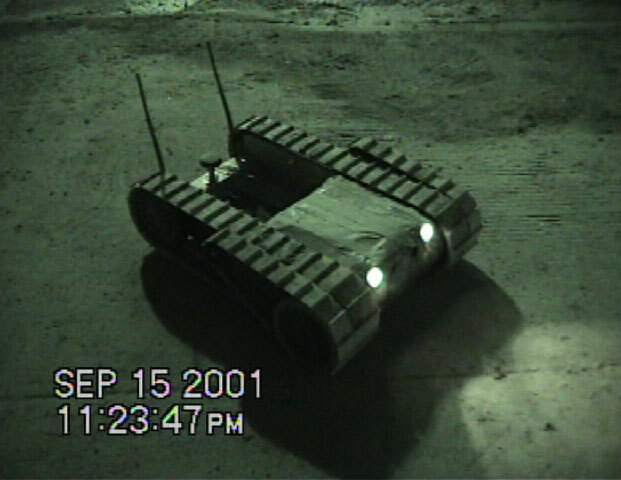 Robotics expert Robin Murphy, then an associate professor of computer science at the University of South Florida, arrived on site the morning after the collapse of the World Trade Center. Murphy’s research on experimental mixed-initiative robots for urban rescue operations was originally funded by NSF. She brought with her a response team that included three graduate students — Jenn Casper, Mark Micire and Brian Minten— and software-guided “marsupial” robot systems. These intelligent anonymous “marsupial” robots are especially useful in rubble because the “mother” robot releases smaller robots to explore tight spaces unreachable by other means. Over the next 11 days, the teams made five insertions onto the rubble piles, often at the request of the Federal Emergency Management Agency (FEMA) task force teams or sector chiefs. Murphy’s mechanized prowlers had tethers with a range of 100 feet, far out-stripping the fire department’s seven-foot camera wands. In doing so, they helped find five victims and another set of remains, though Murphy expressed regret that they hadn’t been more successful. As the 2000s progressed, efforts by engineers to miniaturize components led to robots that were significantly smaller than those that came before. 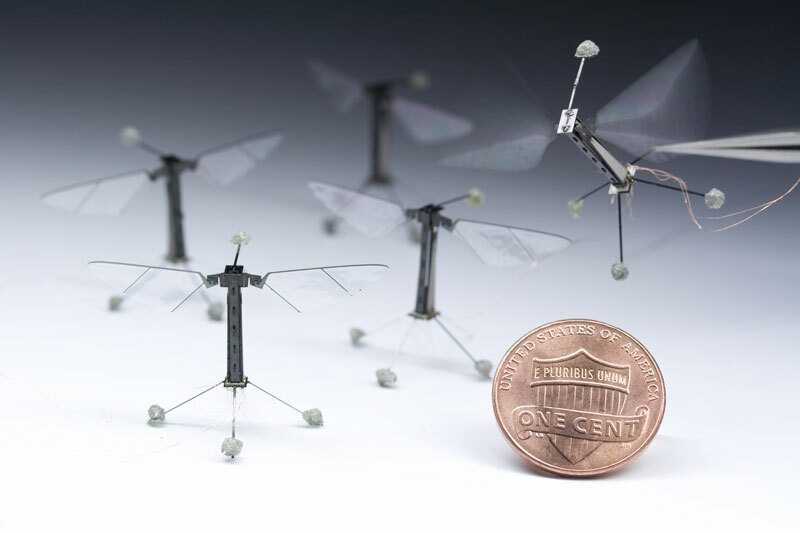 One startling example of this trend is the RoboBee project, which was awarded an Expeditions in Computing award from NSF’s Directorate for Computer and Information Science and Engineering in 2009. Researchers in this expedition are creating robotic bees that fly autonomously and coordinate activities amongst themselves and the hive, much like real bees. The research team aims to drive research in compact, high-energy power sources, ultra-low-powered computing and the design of distributed algorithms for multi-agent systems. Most recently, RoboBees were pollinating young minds at the Boston Museum of Science in an exhibition dedicated to their complex design. In June 2011, the administration launched the National Robotics Initiative (NRI) to develop robots that work with or beside people to extend or augment human capabilities, taking advantage of the different strengths of humans and robots. This provided focus and funding for robotics research. The NRI is led by NSF and supported by multiple agencies including the National Aeronautics and Space Administration (NASA), the National Institutes of Health (NIH), the U.S. Department of Agriculture (USDA), and the U.S. Department of Defense (DOD). Since 2011, NSF and its partners in the NRI have invested more than $120 million in robotics research. Today, robots impact our lives in a myriad of ways. Robots are being used in classrooms across the nation to capture the excitement of students and help them learn STEM (and non-STEM) principles. They’re helping doctors perform surgeries, providing assistance to individuals with disabilities and inspecting bridges and roads to ensure our safety. “Robots, which once were limited to the realm of science fiction, are now a transformative technology, a demonstration of how NSF-funded basic research can bring about changes in human life,” said Marc Rothenberg, former NSF historian. Check out our Youtube Robot playlist to learn more about more about the research of NSF-funded roboticists.